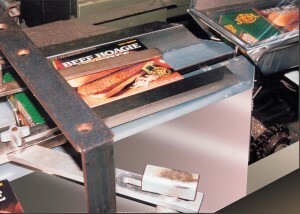 Drawers, sliding trays, locks, sliding bars, gaskets, mechanical bearing parts, conveying, chain wear guide strip/profiles, and slides on boat trailers. 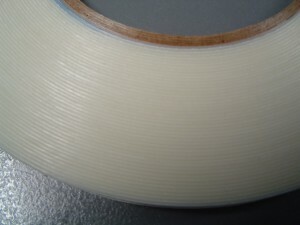 Available in roll form, Durasurf adhesive wear strip is designed to be used as a continuous wear strip, enabling you to simply purchase the adhesive backed strips cut to size, as opposed to purchasing a whole sheet of UHMWPE, which does not have adhesive backing and cannot be bonded using adhesive glue. The Durasurf wear strips with pressure sensitive adhesive backing tape will allow you to apply the polyethylene in minutes instead of hours, eliminating the need for mechanical fastening – no more drilling and bolting! The above sizes are available to purchase from our eBay store. Wider rolls are available on request. 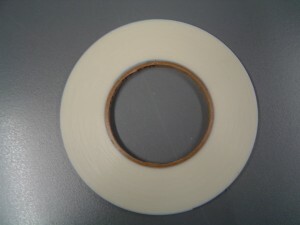 16m long rolls are also available. Please contact us directly for different sizes and quantities. 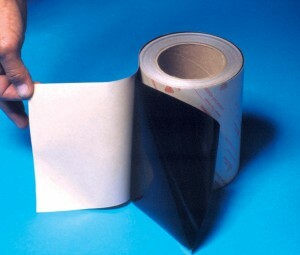 The Durasurf tapes can also be supplied with an abrasive side using contact cement or epoxies for permanent adhesion. These bonding methods are used where the adhesive demands are greater due to load, substrate, environment or temperature change. 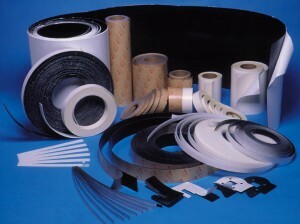 As with all of our engineering plastics, Durasurf tapes can be cut to size or used in custom fabrication as required. Please contact us for a quote.